After reading The Crown, I am hoping to get to the Chalice soon but like you said what next for Joanna! Something about this book appeals to me - perhaps the nun who can no longer be a nun and your statement that former nuns and friars were forbidden from marrying. I'm not all that keen on Tudor times these days either although I am reading Dissolution by CJ Sansom. I'll have to put The Chalice on the list! I am thinking that I am more accepting of historical mysteries set in Tudor times than I am of straight historical novels! I haven't gotten this one yet, but I do plan on it so I'm glad to see your thoughts on it. Thanks! I hope you enjoy going back to the beginning of the story! I am sure you will! 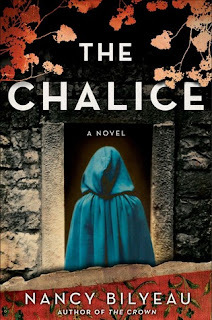 I wanted to read the Crown, but then I received The Chalice to post a review for this same tour on April 1st; I'm half of the book and enjoy it quite a lot. I will have to read the Crown after! 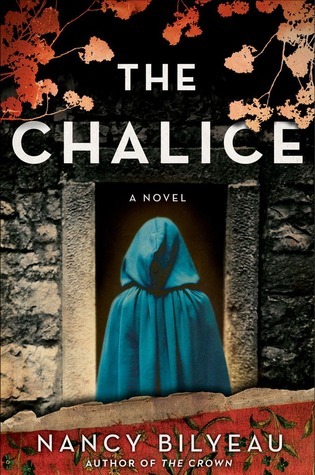 I've just finished "The Chalice" and thoroughly enjoyed it. Like many others, I'm somewhat "Tudored-out", but this was different enough in terms of its setting and protagonist to make me want to read it. I haven't read "The Crown" yet, but will definitely do so.